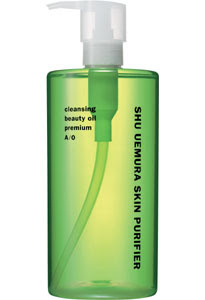 Shu Uemura Skin Purifier is an oil base cleanser with green tea extract that cleans and hydrates the skin. It is the first product Mr. Uemura developed for his cosmetic line in 1960 and has remained a top seller for the brand worldwide until today. Mr. Uemura was a well respected make-up artist for some of the biggest names in Hollywood in the 1950’s until the creation of his own line and his subsequent return to Japan to start a make-up school and cosmetic company. I agree with his philosophy that healthy skin is more important than artificial beauty from cosmetics. After applying this purifier all over the face at the end of the day and rinse off with warm water leaves my skin fresh and hydrated, unlike some oil base cleansers which leave the skin with a feeling of an uncomfortable film on the face even after much rinsing. All trances of make-up including waterproof mascara no longer show on my face and I feel fresh. The smell of the purifier is similar to the inside of a watermelon, the green part between the red flesh and the thick skin. I believe without healthy skin, no amount of make-up can achieve that beautiful savvy glow. The price of a 450 ML bottle is $72 but getting beautiful clean skin and fight aging with anti-oxidant green tea extract is savvy. A bottle last about 8 month for me. What is your cleansing secret? 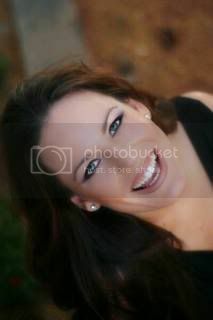 Hi Savvy-this looks a good product and to last 8 months is very savvy!! I just found out today that oil based products are actually better for oily skin so here I'm thinking whether I should try this. thanks for the info. i've read a lot about this recently - it's nice to know that someone is really using it though! I am more of a soap and water type of girl,very basic,thanks for sharing this great product! this product sounds wonderful! if you have clean and beautiful skin, you hardly need make-up. the smell sounds really nice. do you have to apply moisturizer still after using it or is your skin sufficiently hydrated? I still apply a light layer of la mer lotion afterward. This cleanser hydrates in terms that it won't feel dry after washing the face like some facial wash but a light lotion is still a must, I think. Hi Savvy, thanks for visiting my blog. I can see this is the place to come for excellent tips. Shu Uemura makes some great products, but I've never tried the skin purifier. I'll keep my eyes out for it! thanks for your comment on my blog! we had a great trip to mexico! hmmm skin cleansing secret? i just use the aveeno skin brightening cleanser and it hydrates my skin well and cleans well and it only costs like 6 bucks! My cleansing secret is foams.